Prior to ending its 24th edition with a closing night screening of Park Hoon-jung’s action thriller The Witch: Part 1. The Subversion, the Lund Fantastic Film Festival announced the winners of both its short and feature film competitions. The Méliès d’Argent competition saw six European shorts and six European feature films go head to head with Madres De Luna (Alicia Albares, Spain, 2017) and Blue My Mind (Lisa Brühlmann, Switzerland, 2017) emerging victoriously in their respective categories. The former, told from the perspective of unborn children, is a meditation on the lives of women who suffered violence at the hands of men. The latter is a subversive fairy tale that filters a young woman's coming-of-age through symbolical metamorphosis and body horror imagery. As winners of the Silver Méliès, Madres De Luna (pictured above) and Blue My Mind (pictured below) are nominated for the Golden Méliès for the best European fantastic short and feature film respectively. The ceremony will be held during the Sitges International Fantastic Film Festival where Lund's Méliès winners compete against those of other European fantastic film festivals. After being absent from the 2017 edition of the festival, the international competition made a comeback at Lund Fantastic 2018 with a strong field of contenders. In the end, after a long day of deliberations, the jury recognized the impeccable balancing of genres and tones in Brothers’ Nest (Australia, 2018) (top of the page). They presented this year's Siren award (a cash prize of 500 euros) to Clayton Jacobson's second feature film in which he impressively pulls double duty as director and one of the leads, co-starring alongside his brother, Shane. Attendees of the festival also get an important vote and decide on the audience winner. With an unbeatable perfect score, Tigers Are Not Afraid (pictured above) continues to strike a chord with audiences around the globe. 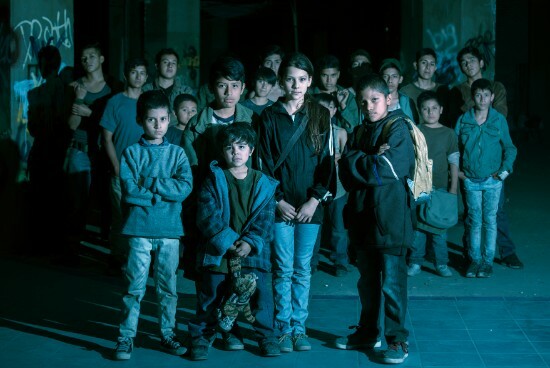 Rather fittingly given the manner in which Tigers Are Not Afraid uses fantasy to frame the plight of children, Issa López’s film receives the festival’s most imaginative award, created by the children and families who attended the 2018 Kids Day (with a little help from the Malmö-based Återskapa organization). Meanwhile Carlos Baena’s animated La Noria (pictured at the bottom) was the festival’s best-received short film. Over a total of ten days, audiences at Lund Fantastic 2018 were treated to a total of 26 feature films and 60 shorts from all over the world.